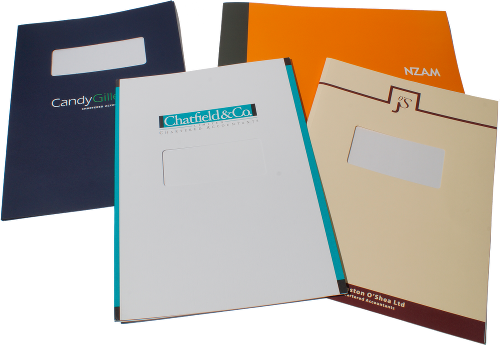 Folders Galore - your preferred supplier of folders! © Folders Galore 2014 Ltd. Created by Hera Systems. This website is best viewed on an FHD display with a recent browser. Folders Galore are your preferred supplier for Thermal Binding folders - and can meet your needs - wherever you are located in NZ. Our superb range of thermal binding folders provides an ideal in-house binding solution with a professional finish which can be customised and branded with your company details. Ideal for use in the Accounting and Legal Industries, but also popular in many Government, Corporate and Educational departments. Cost-effective in-house binding sysytem - ensuring privacy of content Pages quickly and securely bound using a re-heat machine sold by us at cost. Binds between 8-150 page documents Simultaneous binding of a number of documents.